Velvet Sundown is a "Free" to play game that just recently launched on steam. In the Free version, you get to play in a single "scene" that will change ever 2 weeks. So what's this game? It's a game where you role play a character in the game. Every character will have a personality and objectives to do. 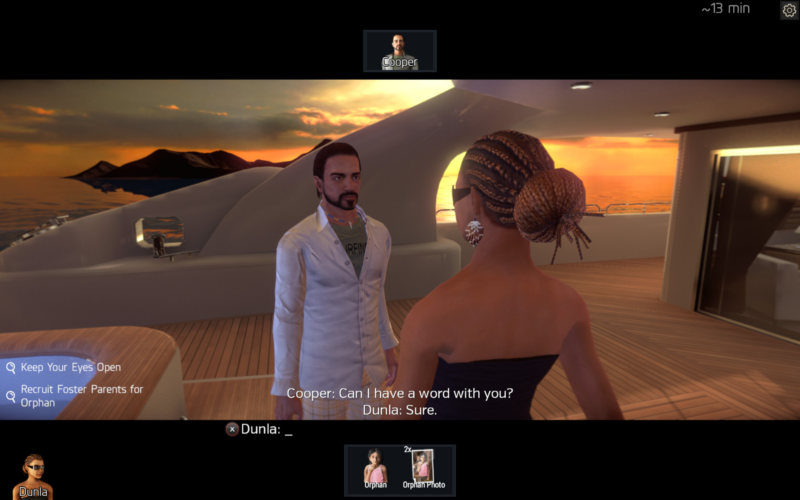 You'll have to interact with other players, sticking to your character's personality and getting your objective done. I'm not a role player, but i'm having a blast playing through this.